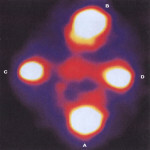 Let me clarify – the guys who interpret those lights on the Apollo mission photos as UFO craft are not tin foil hatters. 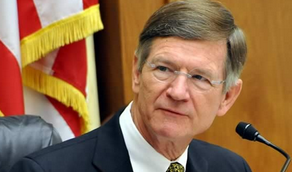 Hats off to Rep. Lamar Smith. And hats all around for every Republican sitting on that NASA-obliterating, climate-change denying committee. House Science, Space and Technology Committee hard at work. How the Science Committee earned our top honor begins with a story that broke last week in Inside Climate News with details of a new Teabagging Inquisition being set up by the Committee to “torture” a lone but famed climate scientist, Big OJagadish Shukla, for merely suggesting in a private letter to President Obama that Big Oil has lied to the public about global warming. Shukla, who runs a non-profit research organization called the Institute of Global Environment and Society (IGES) located at George Mason University in Virginia, collected 20 signatures by climate scientists from NASA, the National Center for Atmospheric Research, the University of Maryland and other highly regarded institutions, and asked the President if energy corporations could be investigated under the RICO Act (Racketeer Influenced and Corrupt Organizations Act of 1970) for purposefully casting doubt on the scientific evidence for climate change. Federal prosecutors used this act on Big Tobacco execs in the late 1990s. Shukla’s letter was brought to the Committee’s attention when someone leaked it onto Faceybook, causing an “affronted,” enraged Congressman Smith to announce a House Special Investigative Hearing on…Let’s see here…I know we can get him on something… oh yeah! 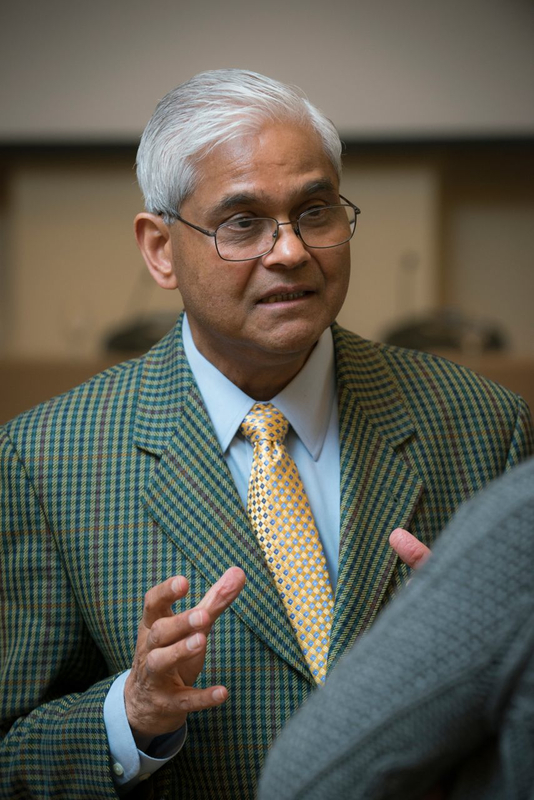 “Misuse of Federal Funds.” Shukla received a damning letter from Smith on Oct. 1, telling him to gather all papers and emails, and report to the gulag! er, hearing. Or else. Shocked by Smith’s letter, Shukla said that he sent his query to Obama as a private, concerned citizen, and had nothing to do with any leak on Faceybook. “Any allegations of inappropriate behavior are untrue,” he said. Congressman Smith is obviously trying to cover his derriere and the pasty bare behinds of his Big contributing Oil buddies, for if there were a true investigation, it would not only uncover the lies pouring out of Big Oil, but also the astronomically huge and oily sums passed between the fossil fuel/fracking profiteers and Smith’s greasy grubbing hands. Meanwhile, Smith and his committee would do well to pay attention to their own fellow lawmakers, which naturally they do not. Congressional democrats are now imploring NASA to have their Earth monitoring satellites (the few left that Smith and his GOP colleagues haven’t ripped out of NASA’s budget) keep a wary eye on the poisonous algae blooms that have flourished exponentially in Lake Erie. 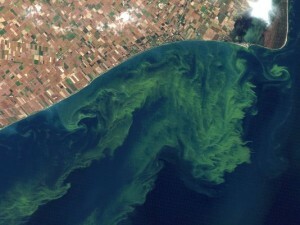 Eerily familiar sight – NASA watches toxic algae flourish in Great Lake. Big Ag pesticides and pollutants are routinely dumped into the waterways of the nation’s heartland, creating toxic algae year-round but which explodes during droughts and the stagnant summer months. More than a year ago, 400,000 people in Toledo and southeastern Michigan had their drinking water imperiled because of the problem. Among the senators asking for NASA’s help was (surprise!) a lone Republican, Senator Bob Portman of Ohio (the Ishi of moderate Republicans…). NASA immediately put the Glenn Research Center in Cleveland on the job, and committed airborne equipment to more intensely monitor lake conditions. Sorry. 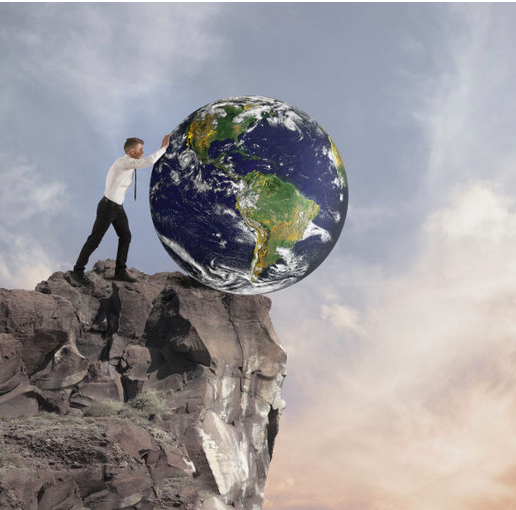 No 24-hour earth monitoring geo-sats available, folks, not even to save our own asses. Go ask Lamar Smith about it. 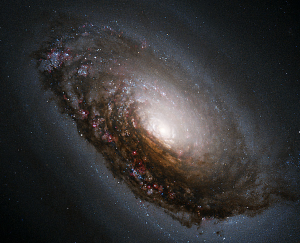 The road to privatizing space is a bumpy one. I mean that literally…if you take the Ghost-port, er, Spaceport America Visitor Center tour in New Mexico. 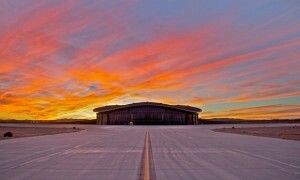 Road to nowhere – Virgin Galactic’s Spaceport America in New Mexico has been silent since fatal crash nearly a year ago. 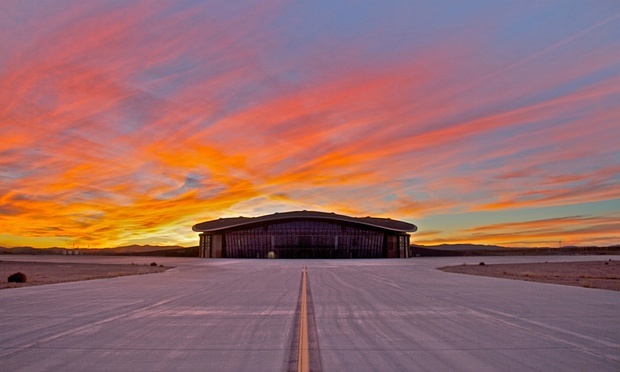 While SpaceX CEO Elon Musk is considered a restrictive fascist in the Texas town of Boca Chica, the people of the scrub desert town named Truth or Consequences, New Mexico, can’t feel much merrier about Virgin Galactic’s Richard Branson. But instead of feeling like they are living in a police state as the folks of Boca Chica do – where katrillionaire Musk planted his rocket launch facility and promised a boom in tourism and fame, but instead gave them badges and shelter-in-place instructions during monthly launches — the residents of Truth or Consequences feel like a snake oil-selling grifter just fleeced them. That’s because Truth or Consequences is located in one of the two poorest counties in New Mexico (and the nation) that contributed $76 million out of the $200 million forked over by the Land of Enchantment to Virgin Galactic’s fabled Spaceport, now just a vacant tumbleweed-strewn ghost-terminal since a fatal launch one year ago that suspended Branson’s dream of sending other katrillionaires and useless celebrities into space for a few minutes of weightlessness at $250,000 a pop, per person. Always a bridesmaid, never a bride – Truth or Consequences gets left at the alter for the second time. It’s not the first time the town’s denizens have put their faith in celebrity. 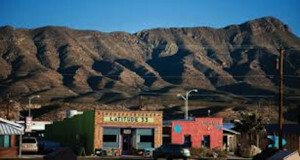 In 1950, Truth or Consequences, then known as Hot Springs, took up an offer from popular radio show barker Ralph Edwards to host his weekly quiz contest from there if they renamed the town after his show. At least that one sort of paid off. 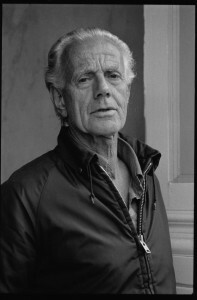 A few road-trip tourists detoured through the town on and off over the years, and Edwards actually returned once a year until he died of heart failure in 2005. Now after sacrificing millions to the useless futuristic terminal, Truth or Consequences’ 6,000 residents are still paying for it with exorbitant taxes, school closings and a failing town water system, which they cannot afford to fix. The average income of residents is $15,000 a year; the town’s one traffic light is out, and storefronts are empty and boarded. So how silent is Virgin Galactic’s Grand Central to infinity and beyond? Writer Caty Enders of The Guardian gives a first-hand account of taking the dilapidated “spaceport tour” on the edge of town. 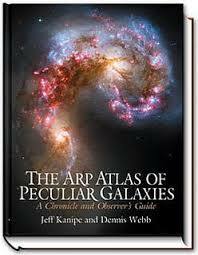 I urge all Galactic Sandboxers to take the time and read it; it’s a poignant, hilarious tragi-comedy. 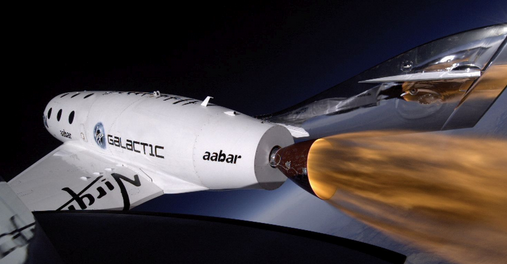 Virgin Galactic’s Spaceship 2 craft. To illustrate how Richard Branson’s firm tapped into regular folks’ dream of traveling beyond the confines of Earth, a tour guide told Enders that while he couldn’t afford a Virgin Galactic ride to space, he entered a contest the firm held back in 2009 that gave points to people who “influence” others into buying Virgin space tickets with the end goal of accumulating the most points to win a free trip on Spaceship 2. Apparently the program was discontinued, however the tour guide still has hope. 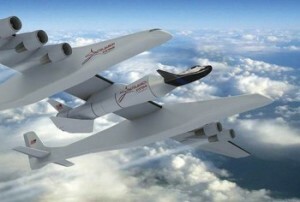 A spokesman from Virgin Galactic would not confirm to The Guardian if the contest ever existed. 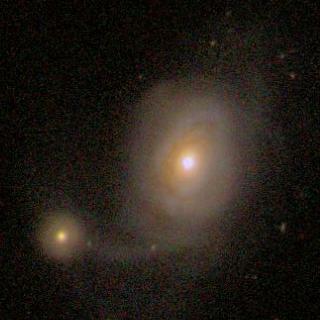 Starchild? – Justin Beiber never says never to spaceflight hopes. Among Virgin Galactic’s less stellar celebrity ticket holders who still have faith in the firm’s “right stuff,” include no stuff “future astronauts” Katy Perry Aston Kutcher, as well as joy boy Justin Beiber and his manager (“Let’s shoot a music video in SPACE!,” twatted Beiber in 2013). Virgin Galactic’s motto on their human spaceflight page is “Opening Space to the Rest of Us.” Really? One small consolation: at least the town residents won’t have to bear with Beiber’s spoiled mug visiting their hamlet any time soon. Out of the blue – New NASA pic shows Pluto’s astonishing colorful atmosphere. 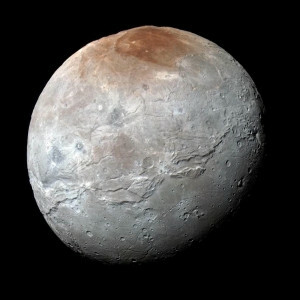 Hot on the heels of its failed attempt to quash a news leak by one of its own, NASA announced last Thursday that the New Horizons craft has sent back images of Pluto proving that the dwarf planet’s surface holds patches of water-ice and that its skies are cobalt blue. NASA unsuccessfully tried to plug the leak by squishing the fact that new discoveries were found. Today they said, “what the hell,” and sent out a press release giving details of what Stern already let loose. 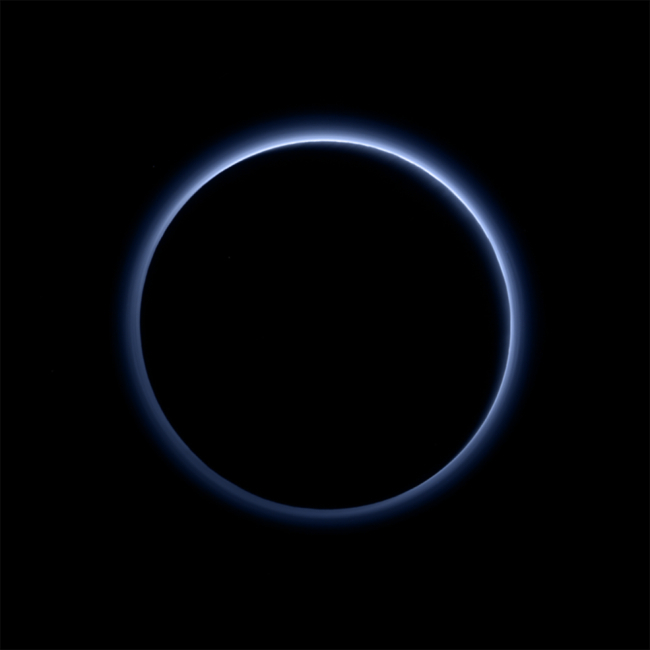 Unlike Earth’s blue skies that are caused by nitrogen, the cobalt empyrean effect on Pluto is caused by “tholins,” which are soot-like particles in a red haze. The water-ice is red and could be caused by a mixture of the tholins with other chemicals like nitrogen and methane as it all recombines to form more complex molecules lower in the atmosphere and on the surface. NASA also recently unveiled new high-resolution images of Pluto’s moon Charon, which indicate a “violent and colorful history.” At half the diameter of Pluto, Charon has a massive canyon four times as long as the Earth’s Grand Canyon and twice as deep in some places. An Israeli team says it has penned a Moon shot launch contract on a SpaceX Falcon 9 rocket, in its quest for the NASA/Google’s Lunar XPRIZE brass ring. Tel Aviv-based SpaceIL has slotted its robotic Moon lander as the primary cargo aboard the unmanned SpaceX craft that will carried 20 other payloads, and is slated for blast off in the latter half of 2017 from Vandenberg Air Force Base in Calif. 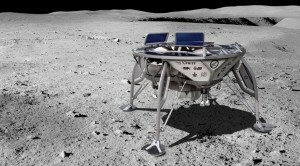 The non-profit SpaceIL plans to use the potential prize money to promote science and scientific education in Israel. 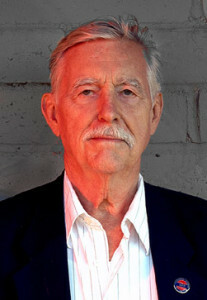 Neither gloom of night … Astrbotic’s Griffin Lander to deliver “Moon Mail” to the lunar surface. 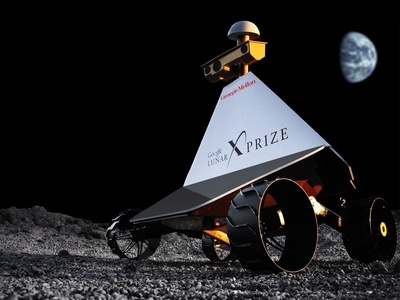 The Lunar XPRIZE will award $30 million to a private company if it’s the first to land on the moon. While the contest website still says the deadline for the 16 entrants (so far) to secure a launch contract is Dec. 31, 2015, some news sources have said the deadline has been bumped up a year to Dec. 2016. 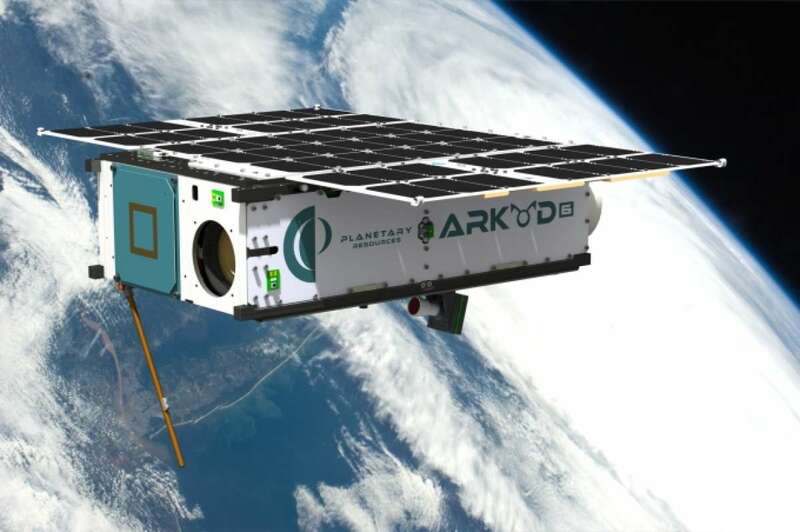 Just to play it safe, Astrobotic (a spin-off of a group of space scientists from the Carnegie Mellon Institute) also booked a flight to the Moon with SpaceX. Astrobotic plans to send up its SUV-sized Griffin Lander that will deliver “MoonMail,” a service that the company plans to advertise on its site where for about 400 bucks, you can send a keepsake to the lunar surface…a lock of hair, a pet tag, a love letter, and so on. Second Wind – Sierra Nevada’s “Dream Chaser” gets renewed life in ISS taxi competition. Sierra Nevada Corporation’s good old “Dream Chaser” spaceplane is back in the running, this time for NASA’s Cargo Resupply Services 2 (CRS2) contract. If it wins, the little shuttle-like ship would carry cargo to and from the International Space Station. We haven’t heard much about this scrappy contender since it lost out to SpaceX’s “Dragon 2” carrier and Boeing’s CST-100 “Starliner” — the NASA contract winners the agency is relying on to soon shuttle crews to the ISS. The Dream Chaser will have a second test run in early 2016, and yes, with its famous fuzzy dice hanging in the cockpit. It would be nice if SpaceX didn’t hog all the NASA contracts or we will soon be calling our national space agency “MUSK CORP.” Putrid. Meanwhile, and though it hasn’t been publicly announced, NASA has quietly eliminated Lockheed’s bid in the cargo contract. A small blurb in the Wall Street Journal alluded to the reason being high costs, although I can’t give details since the story was cut short because I refuse to subscribe to the rag. The skies may someday may fall thanks to NASA budget cuts. 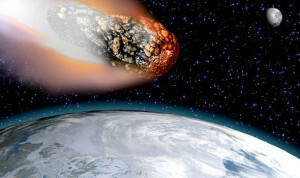 Not feeling very flush, NASA now says protecting Earth from killer asteroids is “a waste of time.” Aside from the fact that Congress has cut the budget for the agency’s asteroid hunting efforts down to a nub, NASA has officially “dropped” its association with the non-profit B612 Foundation. B612 was trying to crowd-source fund its Sentinel spacecraft telescope, but apparently has fallen way short of the $450 million needed for the asteroid spotter. 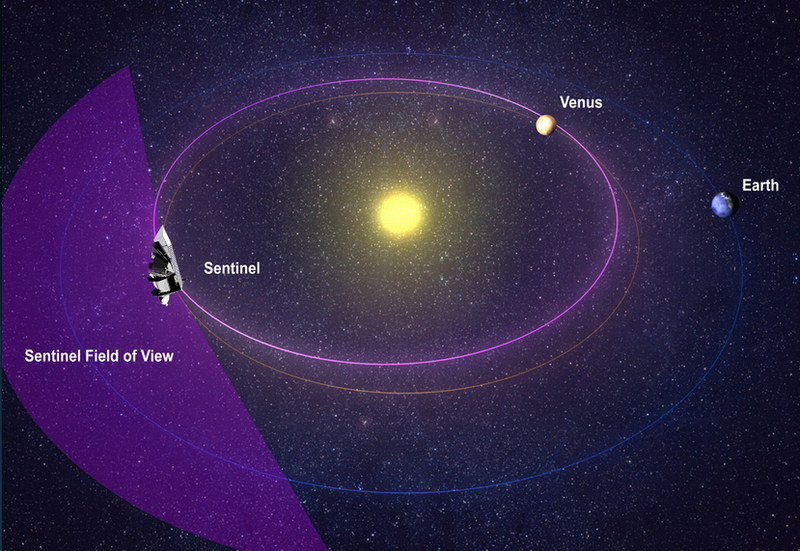 Sentinel was to trail Venus and point towards Earth, giving us a line-of-sight on incoming planet-killers. 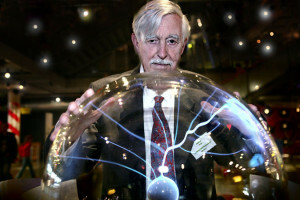 NASA was to provide “support” and advice for the mission, as well as use of its tracking systems. 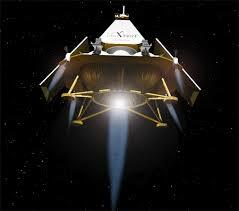 But missed deadlines and under-funding made NASA turn its back on the mission. 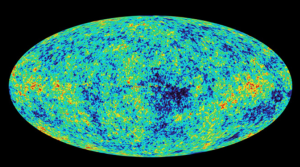 Warped Drive – B612 Foundation’s funding quest for its Sentinel asteroid watcher falls short. B612 says it will carry on with the quest, regardless. On a related note, last Thursday, NASA “mentioned” that a two mile-wide asteroid was due to give Earth a close shave by this past Saturday. NASA officials said rock chunk 86666, a quarter the size of Mount Everest and hurling through space at 40,000 mph, could “take out a large city” if it plowed through our atmosphere. It is still millions of miles away, a NASA official yawned. 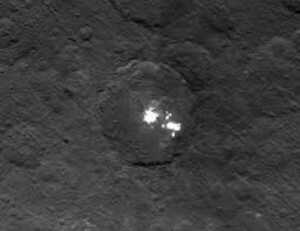 And now for NASA’s weekly and ever-changing take on what those mysterious lights really are on dwarf planet Ceres: Now it’s salt! 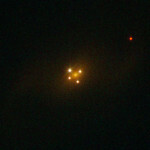 Flash of insight – NASA can’t make up it’s mind on mysterious Ceres lights. And this week we are at last full circle back to salt. 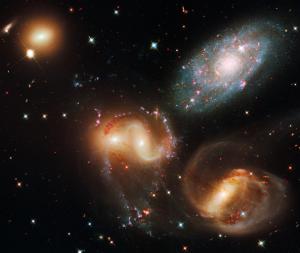 Positing a fresh perspective, Galactic Sandbox’s new feature writer Tom Chargin (Event Horizon coming soon) suggests the lights could well be a form of phosphorescent white algae. We believe he has the best explanation so far, and some day will be proven right. NASA has released thousands of never seen photos (by the public at large, that is) taken during all the Apollo missions, many in high-resolution. It’s a stunning, massive archive. 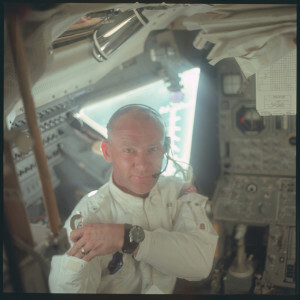 Candid Camera – Apollo 11’s Buzz Aldrin smiles in newly-released archive pix. There are plenty of interesting shots you wouldn’t expect, like astronauts shaving, unfamiliar pix of the Lunar Lander Module (LEM), and expressive, candid snapshots of the pioneering Moon walkers that weren’t exactly typical of what the NASA PR machine would approve back in the late ‘60s and early ‘70s. Dust in the lens? – Archived Apollo photos reveal curious object. But of course, UFO experts have pulled out three photos in particular they say “proves beyond a doubt” that an alien spacecraft was “watching” the landings and descents of the Apollo 11 LEM from a hovering position above a crater in the Sea of Tranquility. 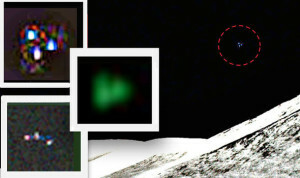 Also, there’s a photo snapped during the Apollo 17 mission in 1972, that UFOlogists call the “rainbow craft.” In truth, the alien craft looks eerily like the triangular football-sized UFOs that have been reported all over the world in the last two decades, particularly that massive UFO wave in Belgium. 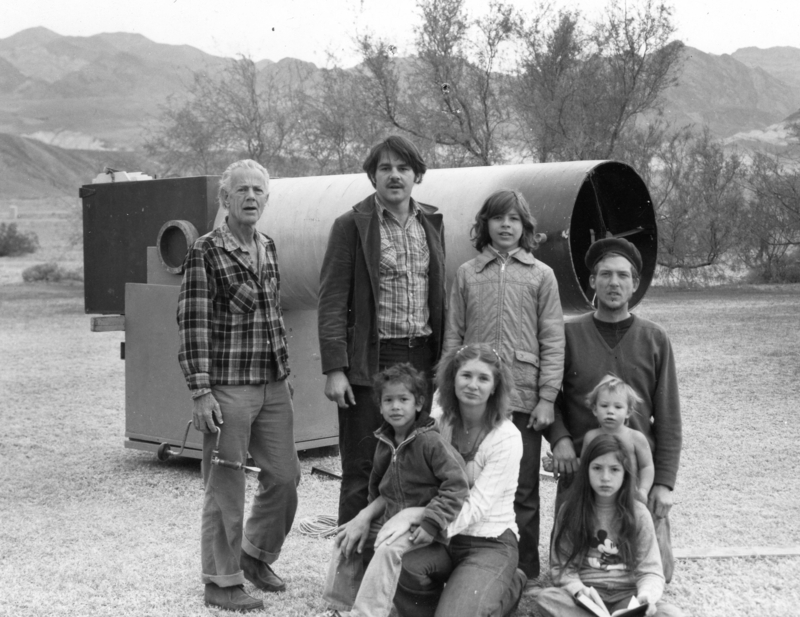 In even more truth, those craft have been eye-witnessed in the ghost town of New Idria, Calif. But that’s another story. L e t t h e G a m e s B e g i n ! Slippery slope -Perestroika gets sopping wet in new aquatic “Space Race” attraction. Based in, of all places, Istanbul, Turkey, Polin Waterparks was established in 1975, a few decades before the world went insane. The company has built 2,500 water park projects in 93 countries worldwide. See if your nearby water land has this! Universe of possibilities – Gamers are waiting with bated breath for No Man’s Sky release. Outer space seems to be a raging theme now in video games, and a lollapalooza is on the horizon. 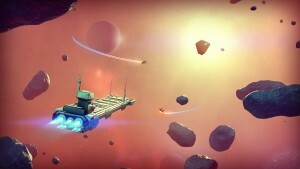 Galactic Sandbox took a peek at the website for No Man’s Sky, a wondrous adventure where you are free to explore a deterministically-created universe that includes over 18 quintillion ( that’s 1.8×1019) planets, one that oddly seems to parallel Earth’s Triassic Period with uniquely ”evolved” flora and fauna. You can choose to laser shoot competing space vehicle companies’ hardware out of orbit, or even land on, explore, and name planets and their inhabitants after yourself. (Editor’s note: I wouldn’t cross paths with Woodsosaurus Rex if I were you). The inventors say they are working feverishly to make it available to the public, but alas, no specific launch date is set. “Experts” are weighing in on the newly discovered salt water on Mars, and the opinions vary astronomically (to be droll) – from touting inevitable microscopic life to claims of cover-ups (yes, the conspiracy truthers are dusting off their tin foil hats). Regardless of what may be found at the end of the Martian rainbow, NASA officials are more determined than ever to send a crew of humans to the Red Planet by the next decade. 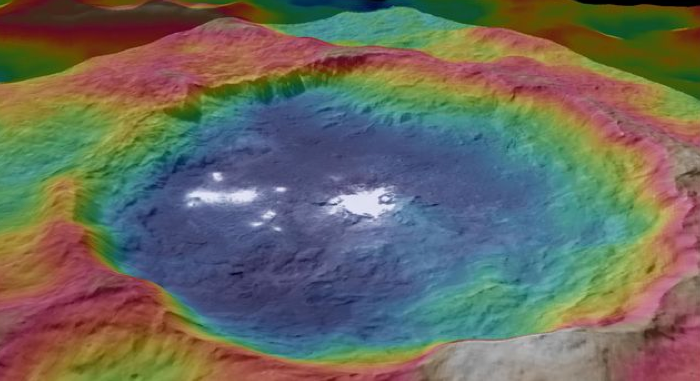 Hope springs eternal: NASA finds evidence of water flowing on Mars. 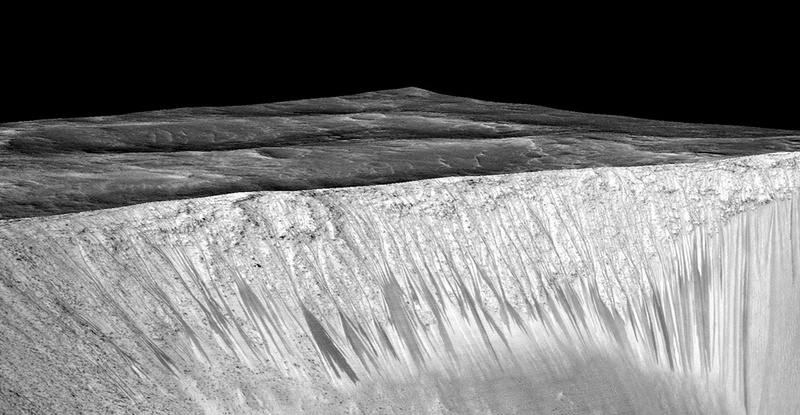 Size of the water streaks (above) fluctuates throughout the Martian year. In the meantime, scientists are spitballing whether the perchlorates (hydrated salts) originate from the near non-existent humidity in the Martian atmosphere or from underground aquifers. NASA has long known that water was trapped in the perma-ice at the poles, but has never confirmed, until last week, that the salty frost appears in dark lines seasonally. Dr. Bob Zubrin, a long-time advocate of human exploration on Mars, is convinced the brine water bubbles up from aquifers. This, he believes, is quite possible since salt water has a much lower freezing point than fresh H2O, in addition to the fact that while Mars averages a frigid -70°F, the equator can warm up to +70°F during the Martian summer. 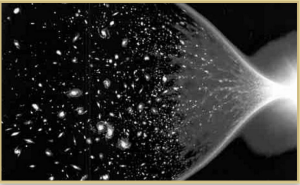 Pre-eminent Astrobiologist Chris McKay of NASA Ames in Mountain View, CA adds that the water, to be liquid, is so salty nothing could live in it. “The short answer for habitability is it means nothing,” he told the New York Times. In space no one can hear you scream .. Rush Limbaugh proposes far-out Mars theories. Photo: Salon. 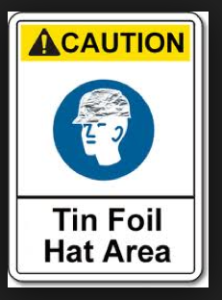 But the Tin Foil Hatter of the Week goes to: Ta Da! That bloated windbag, cigar-chomping, radio crackpot provocateur (drum roll …trumpet blat … rim shot!) 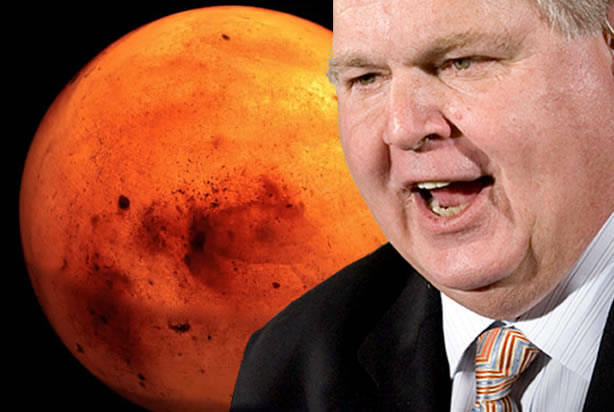 Rush Limbaugh, who claims the Mars water discovery is an Obama plot to “advance the liberal agenda,” since he knows they are going to entwine it with global warming on Earth. Furthermore, and mark his words, NASA is now devoted to “Muslim outreach” and also doing unwarranted publicity for Matt Damon’s new movie, “The Martian,” which proves the Administration’s ongoing nefarious conspiracy with the liberal elite Hollywood cabal. Talk about all wet. Oh, the humanity. Eyes on the XPrize: 21st Century tycoons look to the Moon as a springboard for space age industrialization. The space enterprise battle of the billionaires heats up with a new development in the race for Google’s Lunar XPRIZE, a $30 million pot for the company to first set up shop on the Moon, with another $30 million more in awards between NASA and Google to get there. Ultimately, the company plans to blaze a trail toward mining rare minerals from the Moon, including gold, cobalt, iron, palladium, platinum, tungsten and Helium-3, a gas that can be used in future fusion reactors to provide nuclear power without radioactive waste. The Moon’s regolith (a fancy way of saying “dirt”) is chock full of Helium-3. Spaceflight’s orbiting satellite pez dispenser, SHERPA . 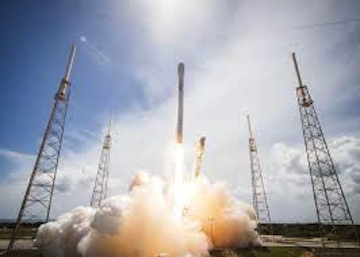 Katrillionaire tech entrepreneur Naveen Jain, co-founder of Moon Express, says that launch advances have enabled his outfit to blast off via Rocket Lab for a mere $5 million, whereas, he added, a launch on fellow katrillionaire Elon Musk’s SpaceX Falcon 9 rocket costs $50 million a pop. Play nice, boys.! Don’t worry about Musk – he’s laughing all the way to the bank after penning a huge deal last week in the booming satellite launch market. 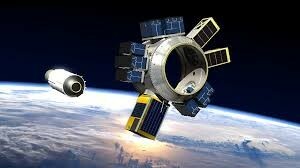 Seattle-based Spaceflight is the customer, and will be doling out $65 million for a launch in 2017. Musk’s Falcon 9 rocket will be launching Spaceflight’s 20 satellites from both the U.S. and foreign nations, a mix of commercial and governmental hardware, from Vandenberg Air Force Base in California. Miner 49er bot excavates asteroid. But speaking of mining the Moon, I came across a buried news blurb this week about a bill in the Senate that could pass any day now. It would allow private companies to actually own the space targets they want to mine, specifically the Moon and asteroids. Those international laws, signed by the U.S., Russia and many other nations specifically state that no country can own a part of outer space, including planets or asteroids. They belong to everyone. Absconding with minerals from someone else’s mining claim (in this case, the properties in question belong to the entire human race, and that doesn’t even include the alien shareholders of other planets in the multiverse) is what we miners call “high-grading.” And a highgrader is the lowest form of life to the seasoned tunnel king who respects another man’s mining claim. Planetary Sciences’ asteroid prospecting test vehicle, Arkyd-6, is slated for launch later this year. 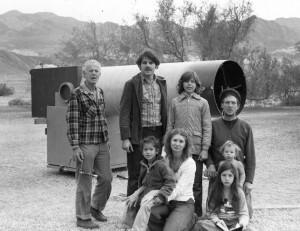 When the Outer Space Treaty was made in the 1960s, the diplomats for some reason could not foresee a “company” trying to own mining rights – or a property deed – to any entities floating out there. A company called Planetary Resources is already trying to stake property rights on asteroid and Moon plots they plan to strip for minerals. 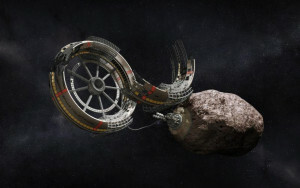 The bill would also allow space-mining companies to sue other parties if the assumed competitors attempt to “cause harmful interference to space mining ventures.” Here we go. The bill has already passed the House and is expected to pass the Republican-heavy Senate this month. 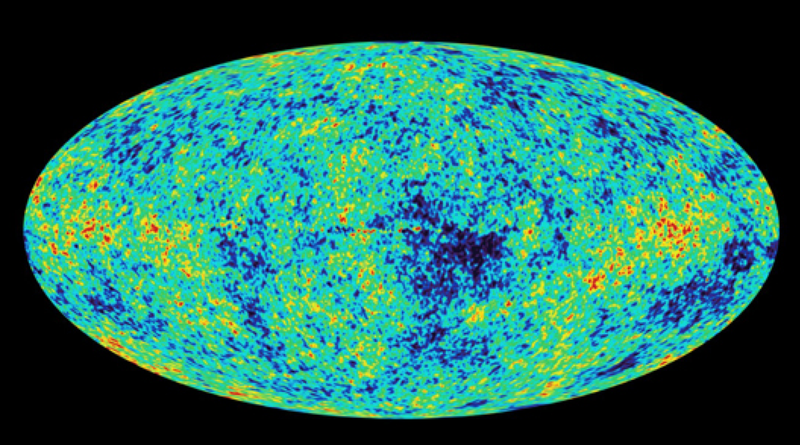 The only hope for a free Universe is a veto from President Obama. 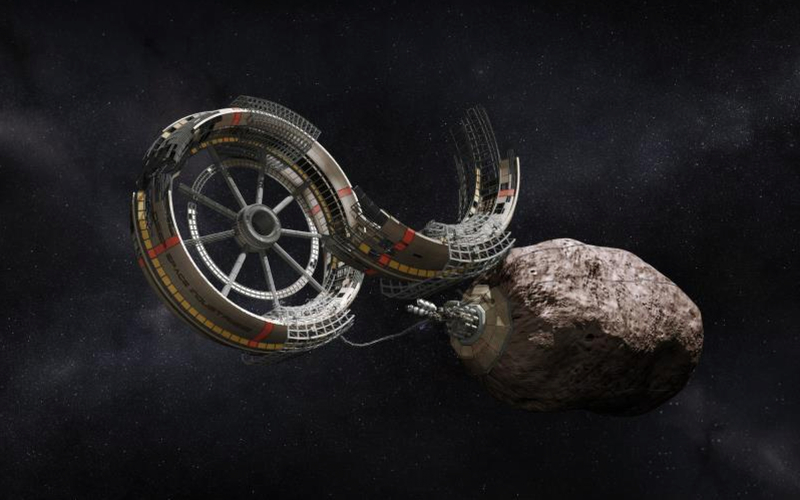 Surely, commercial asteroid miners’ ears perked up when they heard about NASA’s decision this week to sink $15 million in five different plans to study nearby asteroids and the planet Venus. 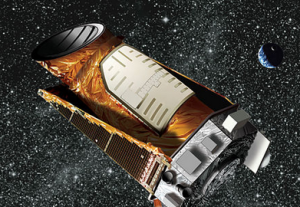 Past economy-class NASA missions include the Kepler telescope launched in 2009 to seek Earth-like planets orbiting other star systems. The agency has culled five out of 27 proposals in their 13th small-class Discovery planetary science competition. Of the five selected, two will study Venus’ atmosphere and topography and three will inspect nearby asteroids. Each of the proposal teams will receive $3 million in seed money to develop their plans over a year, until NASA whittles it down to “one or two” in 2016, says the agency. A total of $500 million will be allotted to the winner, or winners, (excluding launch and post-launch costs) which for now consists of teams from NASA Goddard in Greenbelt, Maryland, and the Jet Propulsion Lab in Pasadena, CA. Among the proposals not selected was an excellent bid to study the “jinxed moons” of Mars, the potato-shaped Phobos and Deimos asteroids. Tin-foilers have been blaming the pair for failed missions — especially the many doomed Mars shots from Russia. Another mission entrant wanted to venture into the Kuiper Belt, to the icy dirt chunks and asteroids beyond Pluto. 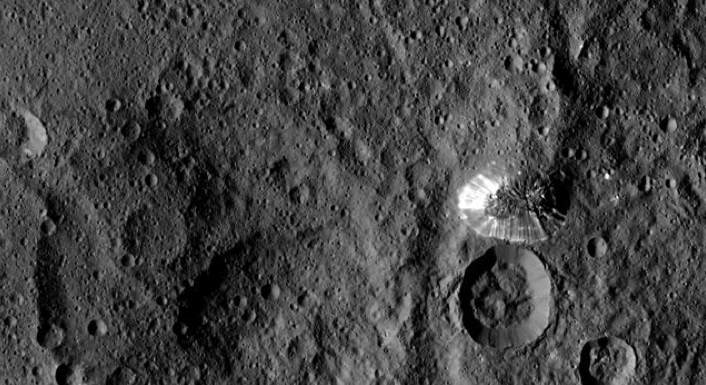 NASA continues to generate regular updates about the many mysteries of Ceres, which is currently being eyeballed by the Dawn spacecraft as part of the Rosetta Mission. False color topographical map of Ceres’ Occator crater complete with enigmatic lights. Now the flustered space agency is describing those bright lights emanating from the Occator crater on the surface of the dwarf planet as “bursts of energetic electrons” … yeah, the same thing that comes from a flashlight or any other artificial light source. But they’ll be damned if they call it what it exactly appears to be in simple terms. 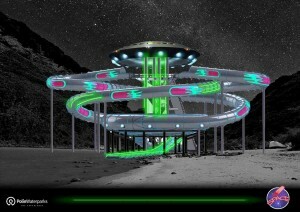 Galactic Sandbox is not advocating the idea that aliens are Morse-coding us from Ceres with Hollywood opening-premiere lights. But it would be refreshing if NASA included in its many varied conclusions of this phenomena that it could possibly be made by something other than ice refraction, salt dunes, atmospheric swamp gas, or the latest “run up the flagpole and let’s see who salutes it” pitch: bursts of energetic electrons possibly caused by the reflection of the Sun. 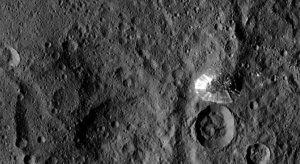 Ceres’ 4-mile high conical “pyramid” mountain (right center). 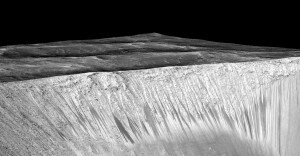 Still, the Dawn probe continues to find interesting wonders, such as a 4-mile high pyramid-shaped mountain – also in the Occator crater. Because of the pyramid’s “strange and spooky” location, brace yourself for an onslaught of shrill cover-up hypotheses coming from the tin foil truthers (or false flaggers). 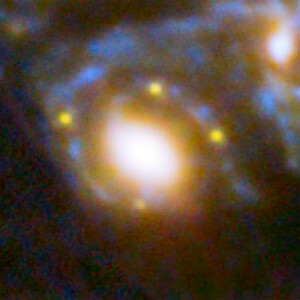 India’s Hubble mini-me to lock it sights on our Milky Way Galaxy’s massive black hole. India’s scrappy space agency ISRO has joined a handful of other nations as it gazes deeper into the cosmos. 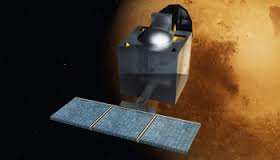 Last week ISRO took great pride in launching its “mini-Hubble” space telescope, called AstroSat, from Satish Dhawan Space Centre in Sriharikota (southern India). It’s main focus will be on the super-massive black hole in the center of our Milky Way, but it will also eyeball pulsars, distant stars and white dwarfs. Though the AstroSat is ten times smaller than the Hubble, it’s a big deal since it is the first space telescope ever made and launched by a developing nation. The U.S., Russia, and Japan are the other (developed) nations that have space scopes out there. 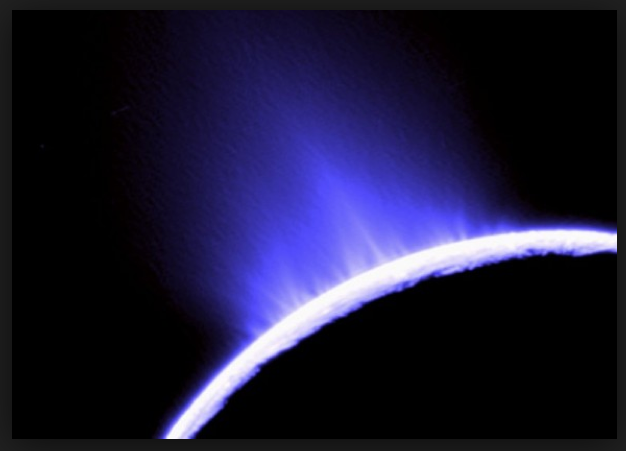 Old Faithful: NASA has confirmed that Saturn’s 6th largest moon, Enceladus, has a sub-ice crust ocean responsible for water geysers erupting from the satellite’s south pole. Here’s something we’ve all known for a while, but NASA decided to “announce” it last week: Saturn’s moon Enceladus has an ocean beneath its frozen crust! Yet we can give credit to NASA and perhaps more fittingly, the marvelous Cassini spacecraft, for making it official. 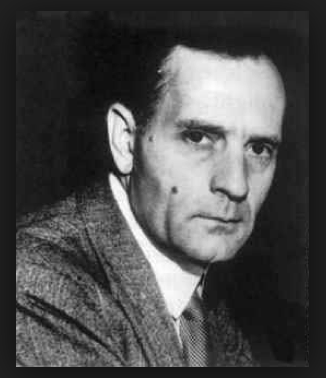 The planetary scientists knew there was water there, but thought it was a regional sea. It turns out to be an entire ocean on Enceladus, responsible for geysers erupting on the moon’s south pole. The Martian King – Elvis lives! And now for the big finale this week. 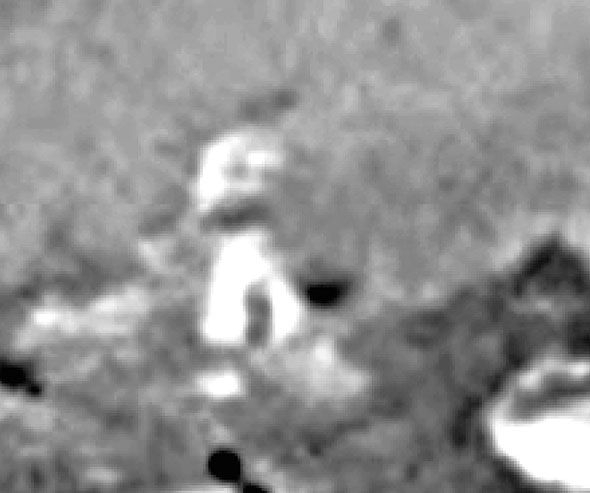 I hate to do this to you, but it’s finally happened: Elvis has been spotted on Mars, and yes, by the Curiosity rover. We knew it was just a matter of time before famed tin foil hatter, Scott C. Waring (our much respected peer and publisher of the online UFO Sightings Daily), spotted the long dead warbler, not just in a black sequined jumpsuit suit but again in the sparkly signature white polyester affair for which he is so well-known. The brutal irony of it all is that Waring did not even realize it was Elvis! He merely reported it as the TENTH “humanoid figure” he caught from Curiosity’s cameras (he must have a 24-7 live stream from a Curiosity-cam, constantly humming along in his basement office), indeed the tenth that he has reported to NASA. And yet, NASA has ignored him, time and time again. Can you imagine?